I must admit, I’m a sucker for Italian mafia movies. Maybe it’s because part of my family actually hails from Sicily and I’ve heard tons of stories, which I still can’t tell are true or not. The truth is though, we all know that Italy has more than a handful of crime families still operating and doing “business”. Needless to say, there is probably enough material and trues stories to keep making Italian mafia films well into the next century. But I must warn you, if you’re looking for something as violent and fun as ‘The Godfather‘ or ‘Goodfellas‘, this little film called ‘Black Souls‘ might disappoint, however it shouldn’t. In fact, ‘Black Souls‘ is a breath of fresh air in this particular genre. The realism captured here is incredible as this story tends to not focus on a few different outfits going to war, but centers on a small family of three brothers. Based on a novel by Gioacchino Criaco, directed by Francesco Munzi, and starring several veteran theatre actors, ‘Black Souls‘ has enough atmosphere and tension to keep you interested and wanting to spend more time with these characters well after the movie ends. The first brother we meet is Luigi (Marco Leonardi), who is charismatic, energetic, and always fun. Luigi is doing “business” with a Spanish guy to further he wealth and family, but then heads back to Milan where his other brother Rocco (Peppino Mazzotta) is awaiting his arrival. Luigi is more of the enforcer and leader of the crime family where as Rocco handles all the financial and business side of things. Rocco even wears glasses, dresses in a business suit and has a wife and kids. He looks non-threatening, physically speaking. The third and oldest brother is Luciano (Fabrizio Ferracane), who chose to raise and farm goats rather than go into the business. Oddly enough, Luciano has the shortest temper of them all. 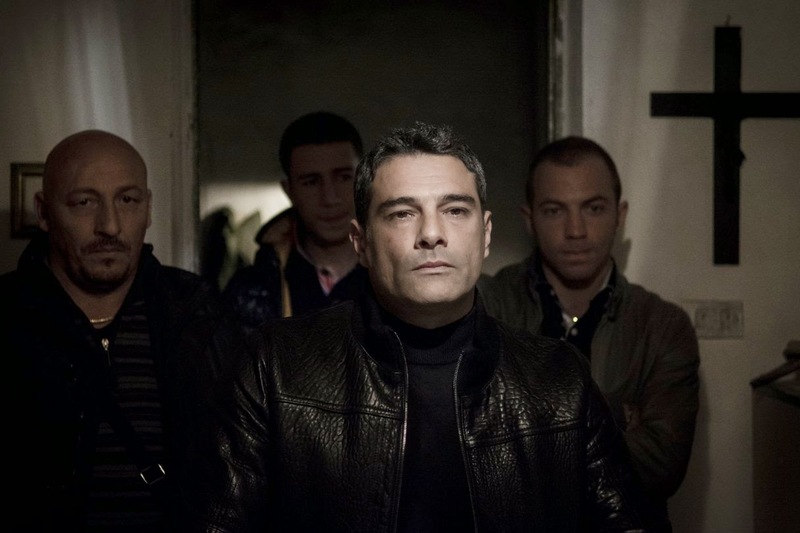 When Luciano’s teenage son Leo (Giuseppe Fumo) would rather work and live with his fun uncle Luigi, and go into the crime business, his father is not too happy. Leo gets into some trouble, which has Luigi and Rocco coming to town to clean up the mess, which causes some big trouble nobody wants to deal with. It’s a slow burn for sure as these brothers spend most of the movie calmly talking about the next step and what to do to solve their nephew’s problem as other crime families are starting to enter the picture. The women in the film mostly play a backseat here, but when there is something for them to say on screen, it packs a punch, and possibly a few laughs such as Rocco’s wife asking, “Oh, are the crooks coming over for dinner tonight?” It’s a humorous line, but all to real. ‘Black Souls‘ sticks with the excellent characters and their development over the course of the movie to really capture the suspense of this volatile environment. There might not be the need for here, but that’s okay, because the climax will leave you with your jaw on the ground. Highly Recommended! This entry was posted on Friday, May 8th, 2015 at 1:18 pm	and is filed under Film, News. You can follow any responses to this entry through the RSS 2.0 feed. You can skip to the end and leave a response. Pinging is currently not allowed.